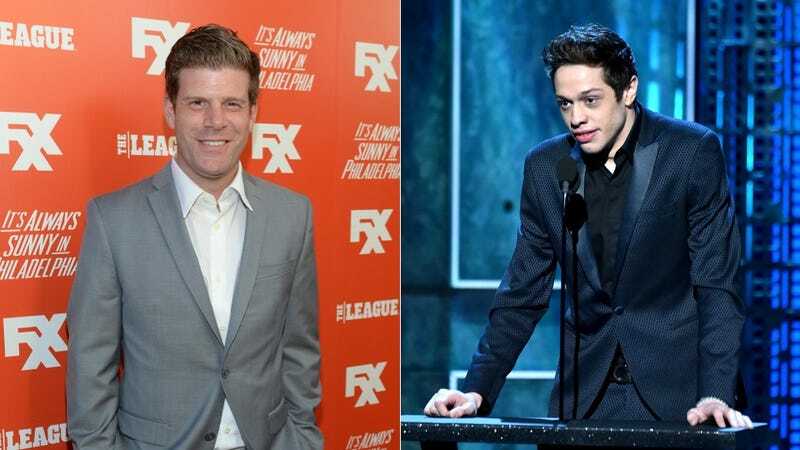 This week, Steve Rannazzisi—Kevin on FXX’s The League—admitted publicly that he was not, as previously stated, in the World Trade Center when it was struck by a plane on September 11, 2001. Saturday Night Live’s Pete Davidson, whose father (a firefighter and first responder) did die during the 2001 World Trade Center attack, had the perfect response. Rannazzisi, either failing to know about Davidson’s dad or unable to realize that some people—not him, but some people—actually were in the Twin Towers on 9/11, responded to Davidson’s tweet with a sincerity so grateful and clueless that you almost (almost) feel bad for the guy. Davidson has graciously called for mercy. By the way, I am actually the Unsinkable Molly Brown.